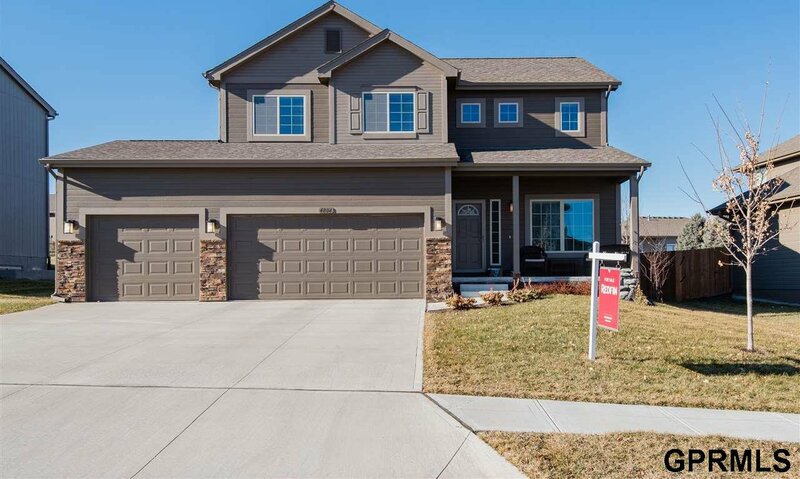 This is an amazing 4 bed, 3 bath, 3 car garage 2 story Celebrity Home in Sagewood. Open floor plan offers large kitchen, great room, raised ceilings, GE Appliances (refrigerator, washer and dryer), designer lighting, fireplace and blinds. Living room has a corner stone fireplace and opens up to the kitchen with center island, quartz counter tops, and eat-in dining area. Laundry on 2nd floor, large master with walk-in closet and double vanity. Unfinished basement has rough-in. Connected to brand new neighborhood trail system and Flanagan Lake Recreation Area. Elkhorn schools. Listing courtesy of Redfin Corporation. Selling Office: Bhhs Ambassador Real Estate.